The Iron Fist in the Velvet Glove | What Would The Founders Think? If nothing else you have to credit the left for tenacity. 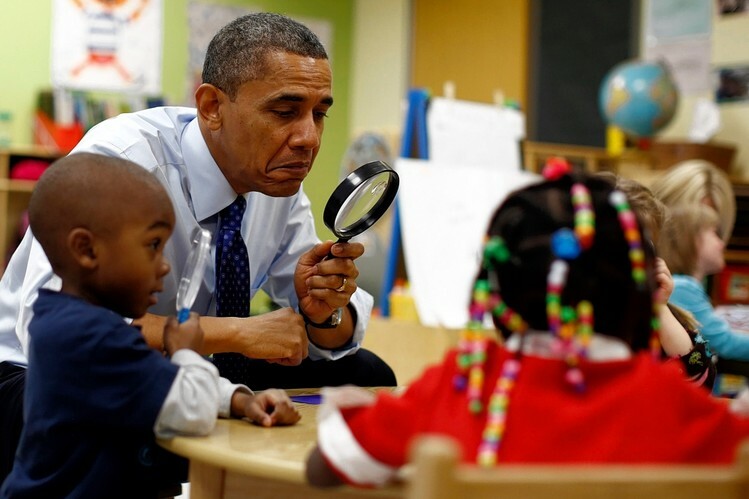 Expert at using “the children” as an excuse for his insatiable drive to expand government, President Obama pulled federally funded pre-school out of his somewhat dusty bag of tricks. Some will recall that during the 2008 presidential campaign candidate Obama waved the flag of “zero-to-five,” education beginning at birth – a promise that ought to strike terror into parents’ hearts. His plan, apparently in hibernation since then, is now back. Those who remember the 1960s must be experiencing that creepy “I’ve been here before feeling.“ In one form or another, legislation authorizing federal support for pre-school has been appearing in Congress since 1963. For example, on Dec. 9, 1971, President Richard Nixon vetoed a bill that included establishment of a comprehensive child development program. He called it “deeply flawed” and criticized its “fiscal irresponsibility, administrative unworkability, and family-weakening” provisions.” Although one would have a tough time selling Richard (“we are all Keynesians now”) Nixon as a fiscal conservative, in this instance he acted like one. Among his specific objections are some applicable to President Obama’s pre-K plan. 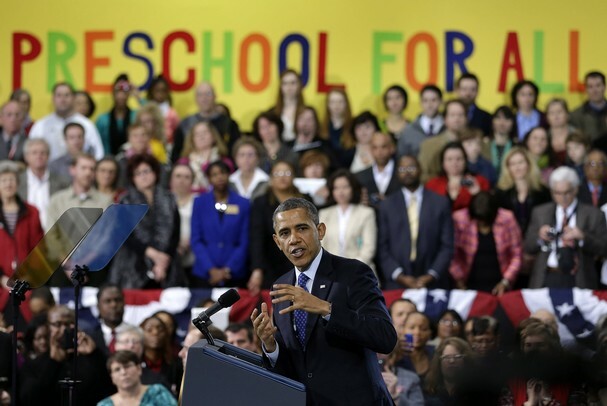 And that goes right to the heart of Mr. Obama’s enthusiasm for pre-K. Apparently the K-12 public education system of politically approved ideas and revisionist history are insufficient for Mr. Obama and his progressive minions. Too many children enter elementary school clinging to their bibles and guns. Oops, that is, too many kids come to school imbued with their parents’ religious and moral values. Inculcating them early with progressive views would be more efficient. That is exactly what is intended. Remember when Hillary (“what difference does it make”) Clinton said child rearing takes a village. She was a piker. 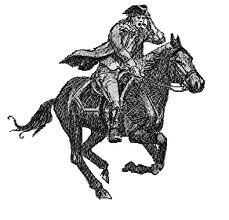 Transforming America, as President Obama has vowed ad nauseam, requires supplanting the family with the state. Taking over one sixth of the economy for the horrendously expensive, regulatory nightmare hilariously named the Affordable Health Care Act is not sufficient. The Common Core Standards, the most intrusive federal expansion into education in the nation’s history is not enough. The HHS evaluation challenges progressive premises and is therefore, according to Obama’s media lapdogs, not news worthy. But even spending money we don’t have isn’t the real issue. Like the Common Core, the president’s pre-K education plan has no empirical basis in research that posits improved achievement. Which brings up the long-delayed evaluation of the Head Start program quietly released by the bureaucrats at the Department of Health and Human Services (HHS) on the Friday before Christmas 2012. The HHS evaluation of the 47-year-old, $8 billion per year federal preschool program for toddlers from poor families does not support the president’s grandiose claims for pre-K education. That explains its omission from Mr. Obama’s State of the Union address when he called for universal pre-K education funded by the federal government in cooperation with the states. You didn’t know about the study or its conclusions? That’s because, with few exceptions, the MSM ignored it. The HHS evaluation challenges progressive premises and is therefore, according to Obama’s media lapdogs, not news worthy. The HHS evaluation is important because of its scope and scientific rigor. Five thousand children were randomly assigned to either a group receiving Head Start services or a group that did not participate in Head Start. The two groups’ were followed from ages 3 or 4 through the end of third grade. Most alarming was the effect on the 4-year-old cohort. These are not the Heritage Foundation’s findings. They are from President Obama’s own department of HHS. Heritage points out that since its 1965 inception, taxpayers have spent more than $180 billion on Head Start. And that’s not all. Obama ignored the HHS evaluation and alleged the success of universal preschool programs in Georgia and Oklahoma to support his pre-K program. …(N)either state has seen a very large move in its scores relative to the national average; Second, while Georgia shows improvement Oklahoma shows decline; and Third, Oklahoma’s declines are larger than Georgia’s improvements. These are the results in putatively ‘high quality’ pre-K states. Would anyone without ulterior political motives see them as an argument for borrowing and spending tens of billions of additional federal tax dollars every year? However, that is not what the Fact Sheet released by the White House says. Whitehurst’s revelation of the president’s deceptions not withstanding, this commentator is convinced that what the president said is exactly what he intends. It is an old political ruse to use the disadvantaged to gain traction for programs that Congress might not otherwise approve. Through its funding power, and yet to be announced “standards,” the federal government would eventually control pre-K education just as it now controls K-12. 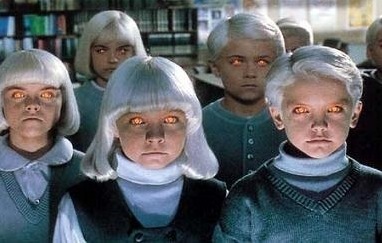 It would then be only a matter of time until legions of teachers, social workers, psychologists and assorted bureaucrats (all with jobs at stake) are marshaled to declare that it is best for “the children” that pre-K attendance become compulsory like K-12. Mr. Obama’s transformation of America has two tiers: assuring a compliant citizenry or, more starkly stated, eradicating dissidence, and increasing dependence on government. This is the president whose administration allows states to waive work requirements for collecting welfare. This is the administration that has spent $3 million on an advertising campaign to solicit more food stamp applicants. The appellation of “food stamp president” some have applied to Mr. Obama is accurate. More than 46 million Americans are now eligible for food stamps. No doubt the jobless rate is responsible for some of that number. It went up in January to 7.9 percent and remains unchanged in February. If everyone who is underemployed or has given up looking for a job is counted, that figure rises to 14.4 percent. Yet, this president seems less interested in joblessness than in adding yet another entitlement program to an already bloated budget (if he ever produces a budget). Dependence is what Mr. Obama is about. Dependence means bigger government and more Democrat voters. Dependence is transforming America. It is naïve to think that mere facts would constrain this president. Mr. Obama has never been one to let the truth stand in his way. Don’t want to disagree, just for the sake of being “disagreeable” , but it has been proven that little ones need the closeness and comfort of mom AND dad, at least until the age of 4; some need that for a longer period of time and even starting out in 1st grade can be traumatic for them! You are not being disagreeable. You are being factual. The HHS evaluation cited above is not the first federal study to report negative social and emotional results from pre-K programs. One study by NICHD in 2007 found that “that keeping a preschooler in a day care center for a year or more increased the likelihood that the child would become disruptive in class — and that the effect persisted through the sixth grade.” A 2001 study found similar results. I am not enamored with the idea of pre-school, much less a government funded and operated pre-school. I heard Dr. James Dobson say something one time that has always stuck with me. It was in reference to the amount of homework being sent home with students. He said children needed time to be children. We may not realize just how true that is. We have a granddaughter who will be three at the end of this month. My daughter informed me that Oklahoma law requires her to start pre-school in August. My response was that it was ridiculous, that she was still a baby. Back to what Dr. Dobson said, children need time to be children. They need the love of a mother and father much more at that stage of their lives than they need a government paid teacher making sure they are “learning”. Sorry for the rant, but this is one of my pet peeves. It is one of my pet peeves as well. If you Google “‘High Quality’ Pre-K States Show Mixed Results,” you’ll see charts of Georgia and Oklahoma that show the results of pre-K are not nearly as salutary as the president would have us believe. The emotional impact on young children of long hours away from parents, detailed in the HHS evaluation, is especially disturbing. The thought also occurs that in today’s cultural climate what government-paid teachers teach may not always be what parents want young children to learn.